The Dynasty hot tub is a 4 seat & 1 lounger design with dimensions of 206cm x 236cm. The Dynasty hot tub is complete with a multiple layered acrylic shell under which a high density insulated foam cradled by a strong stainless steel frame for extra protection & support. Extra features of the Dynasty include water pressure adjustment, water diverter valves, enhanced insulation, ozone disinfection, twin filtration system, LED surround lights & Bluetooth audio for the perfect mood enhancement. Water diverters are unique amongst Zen Spa hot tubs as they enable the user to divert water in certain areas of the hot tub when there are only a few users, therefore all the power is transferred to a single area, hence greater hydrotherapy. All Dynasty hot tubs also come with enhanced insulation in the cabinet plus base for even better efficiency & protection. The Dynasty hot tub is reliably & economically organised by a peerless spa system & 3KW heater designed by the Balboa Water Group. Balboa are regarded as designers & supplies of the systems for efficiency, quality plus spa control in the market. The Dynasty is equipped with the Balboa flagship Spa Touch BP system which offers many advantages that include unparalleled system reliability along with a user friendly interface with added touch screen technology. The Dynasty is also fitted with smart WIFI as it enables control of the hot tub via the BWA APP that can be downloaded on a smart phone or tablet device. Total spa control via your smart device means you can control the spa remotely therefore being ideal in both commercial or domestic location. To complete the Baron Pro, complimentary steps and spa cover are included with the price plus free delivery & placement. Comfortable, deep & spacious, each seat & lounger on the Dynasty hot tub is structured to create the complete spa experience. Contoured lines merge both body & surface together with the added depth that Dynasty offers - the highest quality of relaxation is achieved. All Zen Spa models are 100cm deep & seats measure between 50 and 55cm wide. Our multi-layered acrylic shell is a fusion of marine grade resin combined with fibreglass alongside pure vinyl ester finished with an acrylic outer which is durable & thick & available in a multitude of premium colours. Layers 3-4-5-6 – Marine Grade Resin Combined With Fibreglass. The acrylic shell comes with a 3 year warranty. Made from a senior grade PU, the HTS spa cover is resistant to harshness of the winter plus warmth of summer with particular resistance to Heat, Water & UV. Inside The PU material lies the high density EPS foam. Expanded PolyStyrene (EPS) insulation is lightweight, rigid with closed cell insulation which is strong, stable, energy efficient & thermal resistant. The EPS also has inertness to chemicals. To give the foam added strength an aluminium alloy frame is also inserted to inside the cover to keep shape and strength. Each cover has secure clips with locks for wind resistance & safety, plus handles which aid in the movement of the cover. The spa cover tapers to allow water to drain away with the size of 9 to 12cm which compares favourably alongside most spa covers. 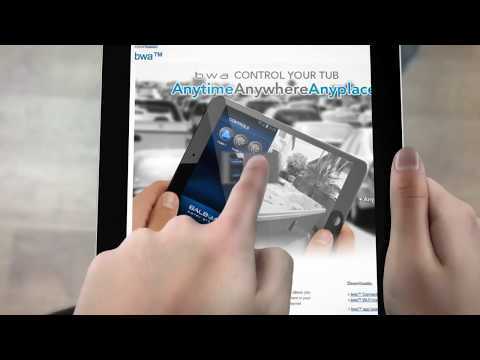 The Balboa WIFI Adapter enables full control of the hot tub system via a smart phone or tablet. 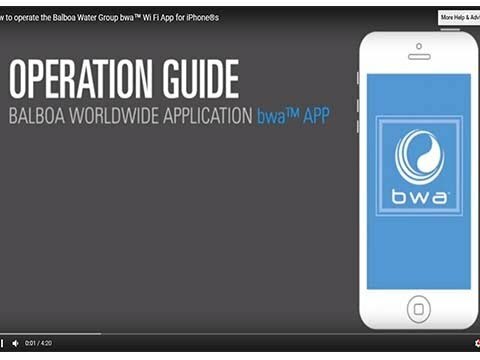 Just download the free BWA App to receive total interface control so you can set the temperature, turn pumps on and off and even set filtration cycles. This remote access gives greater management control of the spa and hence give better efficiency & economy. Performance is our obsession from our jets to systems and also includes the Bluetooth/DAB audio of the Dynasty hot tub. This specially designed marine audio has a simple interface with the simple objective to deliver music the way it was intended. Clean & clear sound with an easy to use interface with control via a smart phone or tablet enabling an unmatched combination of comfort & stability. Whether it’s streaming your playlist via Bluetooth or listening to high quality radio via the DAB (Digital Audio Broadcasting), the audio system works in tandem with the hot tub to deliver peak performance. LED ambient illumination is a feature on all of the models in the range of Zen Spas hot tubs. These extras create a relaxing yet sophisticated atmosphere when relaxing in the hot tub. A cluster of multi-coloured surround lights embed along the hot tub shell to create a visibly strong light show both during the daytime or evening. Dynasty features surround lights, prism spot lights, base lights plus waterfall lights. Filtration is used to separate unwanted particles from the water to maintain a smooth flow of water. Contaminated / dirty water would hinder the water flow of the spa & cause issues with the function of the hot tub. Our programmable filtration system allows full control of the filtration process with the twin filter system of the Dynasty working in tandem to prevent the passage of any unwanted solid particles. The filter is easy to access & even easier to remove and replace to enable easy maintenance. Ensure you enjoy the maximum hydrotherapy by using the Dynasty's water diverters to direct water to where you are sitting for increased power & performance. The Dynasty uses a closed cell high density foam to insulate the base of the shell. This keeps the heat within the hot tub & helps save money on energy costs. The high density foam also increases strength to the structure. spa cover, the Dynasty has 360 degrees of protection. All hot tubs are built with stainless steel frames as well for extra stature & quality. Each hot tub has a wide variety of hydrotherapy jets, specifically designed & positioned to deliver massage & relief. Each jet is lined with a stainless steel surround for added luxury & distinction. Hot Tub Suppliers are British Gold Award Winners in 2016, 2017 & 2018 of Hot Tub Health Benefits which only illustrates the quality of the jets plus pumps in this hot tub range. The Dynasty Hydrotherapy experience includes specially positioned massage jets for back, feet, seat, legs, shoulder, hamstring & calf. Constructed from a water resistant foam, these hot tub pillows are lightweight & comfortable. Sit back & unwind as the soft foam allows you to descend for the ultimate support & relaxation. Simply slide on and off when in use & easy to clean. breakthrough in ease of operation for hot tubs. Its intuitive screens make controlling your tub a breeze. Bright & clear, the easy to use interface allows full control of the management of the Dynasty.